Several geneabloggers participate in a weekly meme known as Tombstone Tuesday where they post photographs of tombstones of interest. I thought I would participate, and for the first entry I chose one which contained an early lesson for me. I took this photo in the summer of 2007, only a few months after the start of my genealogy obsession. Those who offer advice usually suggest not to go grave hunting in the middle of the summer. It can involve a lot of walking around, which isn't pleasant in the summer heat. But I didn't want to wait until the fall to visit the gravesite of my second great grandparents Sam and Rose Newmark. Due partially to the heat, once I found the grave, I clicked the camera a few times, and went home -- without looking around nearby for other relatives. I must have been suffering heat stroke or something to miss what the camera picked up so easily. Sam and Rose's daughter, Cissie was right behind them. Her maiden name is on the tombstone; I really don't know how I missed it. So I had to go back the following weekend. The below letter was written by my great grandmother, Margaret (Denyer) Van Every to her daughter Minnie in 1917. Minnie was my grandmother Myrtle's oldest sister. Evva was another sister. Marguerite and Shirley were Minnie's two eldest children. Agnes was the daughter of Willa, another sister of my grandmother's; Willa had died in 1916. Jud was my great grandfather Melvin Van Every's brother. Melvin was an apiarist (beekeeper). As I have a few minutes time I will write you few lines. We are all well but have not found a location yet altho we have bought 35 colonies of bees. I believe this is a good honey country but there is so many bees here it is hard to find just what you want. Agnes and I are here in town waiting for Daddy to go look at some places we were told we would like. It seems like every body here is so busy they just don’t have time to do anything. How do the crops look by now. I guess everybody plowed up their corn. There is some tasseling here about 3 feet high which will never amount to much. I see some cotton which looks good but the people have very few gardens. it seems tat every body lives in town. When we go out in the country nearly every house we see is closed. This seems to be the ideal chicken country for the small breed of chickens. They say it is too hot here for the large kind. How is every body. Do you see Myrtle much? I wish you could see her real often. I believe she is grieving for me. Tell her I am alright and if anything happens I will let her know first of all. I write Myrtle oftener than anyone because I am afraid she worries about me. I sure sleep well. The nights are so cool you have to have blankets on the beds. They say this is unusual here. I am getting tired of this traveling around no place to lay your head. It was fun at first but now it is more like work. I wish I could step right in your house and see what you are doing . Tell me all the news. Do I know the man Miss Della married? Tell Marguerite and Shirley I will write to them soon. You see my knee is my table and I don’t enjoy writing much. Tell every body hello for me. What is Horace doing. Are the bees doing anything yet. I wonder if Evva is with you yet. I sure enjoyed myself while I was with her. She intended coming your way there real soon. I am looking for a ltetter from you real soon and I hope I will not be disappointed. If I got a letter from you one week and one from Myrtle the next and one from Evva and Bro Jud inbetween I am all right. Agnes is just the same. It takes a clean dress every day to keep her any way clean at all. Every thing she sees she wants me to buy it to send Myrtle. Kiss all the children for me. Write when you can. Here's a blown up section containing the one word I can't identify. It looks like lassalin, and from context it has to be something grown on a farm. So begins The Road Not Taken (1915) a famous poem by Robert Frost, often interpreted as a poem about individualism. (and often given a different title in people's memories.) The poem continues. The narrator takes the route that ‘wanted wear’. Wait! Is the narrator suggesting that both roads wanted wear equally? Yes, it appears so. No step had trodden black either road. Neither road had been traveled. But, still, only one road could be taken. The narrator looks into the future and predicts how the event will be recalled. However, is this the truth, or just how the narrator-grandparent will recall the events, so to speak? It appears Frost may be talking, perhaps cynically, about the control we have in describing our own past the way we want to describe it. As long as there is no evidence to the contrary. A smart woman, but photographs discovered have backed her up (at least in my own mind). She was pretty. But still, she knew her response to my uncle was hers to make, and she chose the response she wanted. Back to the poem – it can be interpreted in several ways. Even if we agree both roads are untraveled when the narrator reaches the fork – that means Frost’s narrator is taking a road ‘less traveled’ regardless of choice. Suggesting not the viewpoint of a cynic, but that of a trailblazer. Many people when they approach options untried, will turn around and head back. Maybe that’s why both routes had untread leaves. Frost’s narrator made a different choice. There was another option equally new, but the narrator still didn’t do what most people did. The individualistic interpretation of the poem is definitely still valid. However, to my mind, the final stanza is a prediction, and not an absolute vision into the future. Furthermore - Frost’s narrator, in the here and now of the poem, never declaratively states he (or she) took the (or a) road less traveled; all we have is the evidence elsewhere in the poem to piece together the past, and whether the truth will be told in the future, or not. Which leads to different readers interpreting the truth differently. LA Times Opinion article which won't take 30 minutes to read. Below is one of a series of letters my great grandfather, Melvin Van Every, wrote to my grandmother, Myrtle. The year was 1926. Minnie and Evva are two other daughters. A.H. Goldstein is the name of the individual who according to the deeds, sold to Melvin their land in El Paso in 1917. This is a dreary day, it rained last night and it has drizzled all day. We got ready for Sunday School at 10:00 but it was raining real heard so we did not go. I was sick in bed two days this week but am feeling fine now. Had the first cool spell the past week. Sept has been unusually hot. I hope we don’t get an early frost as we have 40 acres of late cotton. We have cut 2 bales here at home but have not hauled it to the gin yet. Cotton is cheap selling here for less than 15c. Guess we will be short on money as cotton is all we have. You ask in one of your letters what I thought about Mrs. McPherson. See I thought for awhile she was kidnapped but now I have changed. I have lost confidence in the old sister. My oldest brother Nelson died Aug 29th. He lived in Page Neb. My sister Alice is still lingering between life and death. I have not heard from any of the folks at El Paso since writing you. I will write Minnie today. I guess now she realizes what I was up against when she tells of the hard times she had at home slaving for me and I being so stingy. I worked many a day for 1.50 a day to keep her in school and one time in Goldstein’s office I recall Evva as saying how she had worked and did without decent clothes to wear and Goldstein ask her if I hadn’t worked any and if she knew how much it cost to raise a child. He told her that with the income I had (rented land) he thought I had done unusually well for my family. I wish all that could have been different but I have always been poor and I guess God intended it so. But these children that think they had such a hard time when children let them show the world how to raise children and prosper and get rich. I made failure and I am willing to admit defeat. I am not trying to please everybody that is more than our savior did. All you children had a better start in life than I. I never went to school after I was 10 years old and I helped my father support his family quite a few years after I was married. I guess my cousin in California can tell you of hard times other children have had. I want you to see him when you get there. Yes, I know my Grandfather was named Andrew. I have a half dime he gave me the last time I seen him. Am glad you are coming. Contrary to the history, Andrew David Van Every was according to most records born in Canada. He was my only ancestor who spent his entire life in Canada, as his parents were born in New York, and fled the country as Loyalists, and his son Samuel returned our Van Every line to the US. I am continually amazed at how easy the internet has made research. In years past when reading the above letter I would have struggled over what a "half dime" was, and the historical reference to Aimee McPherson. Today I found the answers I needed within seconds. Finally, normally I wouldn't have included Melvin's comments about his daughters, but they were inextricably intertwined with his comments about himself. Still, I think it is probably universal that children aren't completely appreciative of what their parents go through until they are adults themselves. A new law amending the Citizenship Act will come into effect on April 17, 2009. The new law will give Canadian citizenship to certain people who lost it and to others who will be recognized as citizens for the first time. Citizenship will be automatic and retroactive to the day the person was born or lost citizenship, depending on the situation. These people will not have to apply for citizenship, but may need to apply for a certificate to prove their citizenship. People who are Canadian citizens when the law comes into effect will keep their citizenship. The link above, to the Canadian Govt website, goes into detail about the changes in the law, for those who are curious as to whether or not they might be a Canadian. Under the current rules, it’s possible for Canadians to pass on their citizenship to endless generations born outside Canada. To protect the value of Canadian citizenship for the future, the new law will – with a few exceptions – limit citizenship by descent to one generation born outside Canada. My second great grandfather, Samuel Van Every, was born in Canada. It appears that before today, it's possible I could'a been a Canadian! But wait, it also says: People who are Canadian citizens when the law comes into effect will keep their citizenship. So was I a citizen when the law went into effect, and I just didn't know it? Maria was born in Belize in 2001 and has never lived in Canada. Maria’s father was born in Belize in 1978 to a Canadian mother (Maria’s grandmother). Maria’s grandmother was born out of wedlock in Belize in 1955 to a Canadian mother (Maria’s great-grandmother). Maria’s great-grandmother was born in Belize in 1937 to a father who was born in Ontario in 1915 (Maria’s great-great-grandfather). Maria is a citizen today and must take steps and apply to keep her citizenship before she turns 28. Citizenship status: Under this bill, Maria would remain a citizen and would no longer be required to apply, before her 28th birthday, to retain her Canadian citizenship. If Maria has children abroad after the bill comes into force, her children would not be citizens. I wasn't born after 1977, and I am over the age of 28. If one had to apply before the age of 28 in the past, it appears I missed my opportunity. However, my niece and nephews appear to fall under a scenario similar to the one above, and all three of them have some time to think about whether or not they wish to apply. In April of 2007 a friend sent me a copy of the 1930 census sheet with my great-grandfather Barney Newmark, and told me he had found it online at HeritageQuest. Once I had a taste from the online buffet, I was unable to extricate myself. I am now a gluttonous fool. On April 16th I started blogging about my research, so today marks the two year anniversary. There are a few earlier entries on this blog, but they are reprints from my personal blog where this blog got its start, and pre-date my research addiction. My family history has long interested me; that's how my friend knew my great grandfather's name. And I have been a blogger since 2002. I had no idea, however, what awaited my discovery. The theme for the 70th Carnival of Genealogy is Uncle, Uncle! There are several uncles I could write about, but with the deadline for this carnival being April 15th, that made one uncle most appropriate. 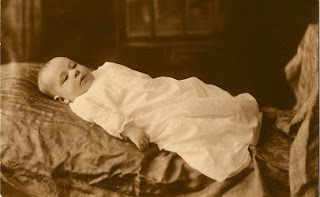 My paternal grandfather’s brother, Mandell Newmark, was born Jan 31, 1923. He was almost certainly named after his great-grandfather Mandell Mojsabovski. 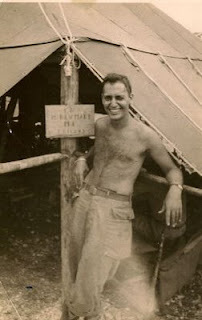 He enlisted in the army on Feb 22, 1943, and served as a Sgt. Technician Fifth Grade, in the 163rd infantry. 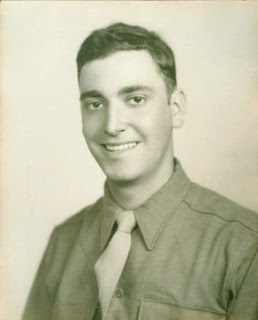 He was killed in action on April 15, 1945. Less than a month prior to VE day. I posted a couple more photographs of him a month ago, and last December. Below is one of a series of letters my great grandfather, Melvin Van Every, wrote to my grandmother, Myrtle. The year was 1925. This is actually one of the earliest letters I have from him written to her after she had moved to St. Louis in 1920. At this point he was writing weekly, and I have no reason not to believe he wrote weekly in the five years previous. I just don't have those letters. Minnie was Melvin's eldest daughter, and her two eldest daughters were Margie and Shirley. Josie was Melvin's second wife. Your letter received Wed. Was glad to hear from you. You say you are having some very cold weather. We are also. It freezes every night but the days are warm. The coldest we have had was 6 above zero and it hangs around 20 any night. We have had quite an excitement among the Mexicans the past week. A Mexican man on my place give me $10.00 to take him and his girl to Hillsborough the next county seat to get married and I found out on the road the girl was only 15 and they swore she was 18 and was married. They stopped with some other Mexicans before they got home and ask me to find out how the old took it and when I got home I found them very mad. They scoured the country far and wide but did not find them. They about give them up they came to me and tried to get me tell where they were. They came home today. There was no one hurt but they may prosecute them for swearing a lie. I hope you do well and get a man who can make a living. How about his parents? Do you know them? You know children take after their parents and if their parents are worthless they will prove so also. I believe Roswell will prove good soon as his parents good people and have made a success. We went to Sunday school this morning and took dinner with a neighbor. Josie was afraid of the Mexicans and they were to come home at noon. ... We have our trees pruned and the orchard looks good. I have to spray for scale while the trees are dormant. and then several times later for other Bugs. In some of his letters my great-grandfather illustrates some disappointing views on Mexicans, however, his views were likely typical in 1920s Texas. Still, he was willing to help out a young couple getting married. It's not clear whether he discovered the girl was underage before or after the marriage. Considering his religious nature, I suspect it was the latter. He repeats the advice of judging a potential spouse by their parents several times in his letters. In 1902 Samuel Tillman Hartley testified in front of The Dawes Commission that his mother was half-Choctaw and half-Cherokee. His sister was my great-great grandmother, on my maternal mtDNA line. Assuming Samuel was correct about his mother, and assuming he had the same mother as his sister, an mtDNA test of myself or my mother should have placed us in a Native American haplogroup. Haplogroup U5 and its subclades U5a and U5b form the highest population concentrations in the far north, in Sami, Finns, and Estonians, but it is spread widely at lower levels throughout Europe. This distribution, and the age of the haplogroup, indicate individuals from this haplogroup were part the initial expansion tracking the retreat of ice sheets from Europe. Haplogroup U5 is found also in small frequencies and at much lower diversity in the Near East and parts of Africa, suggesting back-migration of people from northern Europe to the south. Haplogroup U5, with its own multiple lineages nested within, is the oldest European-specific haplogroup, and its origin dates to approximately 50,000 years ago. Most likely arising in the Near East, and spreading into Europe in a very early expansion, the presence of haplogroup U5 in Europe pre-dates the expansion of agriculture in Europe...Interestingly, individuals with haplogroup U5 and U5a may have been come in contact with Neandertals living in Europe at the time. 11% of modern day Europeans share this origin. Nothing is wrong with being in this haplogroup, but we had hoped to confirm our Native American ancestry. It appears that Samuel and Sarah Hartley's mother wasn't 100% Native American. How much was she is uncertain. With some research, I might be able to find a Y-DNA descendant of Sarah's brother to test the Hartley line. However, Samuel thought his father, George Hartley, was 1/2 Choctaw. If that meant George's parents included one full-blood Native American, that almost always meant the mother. Still, I think I would be interested in finding out his ancestry. Of course, even if I am able to find a direct male descendant, I don't know if I will be able to convince him to take the DNA test. According to FamilyTreeDNA - they know of three matches for both HyperVariable Regions 1 & 2. They make it clear this doesn't mean they are necessarily closely related, and the common ancestor could be as much as 50 generations back, since mtDNA changes so slowly. However, they do provide contact information. The three recorded their origin as England, Ireland and Northern Ireland. Of course, there is no assurance that they were correct with the origin. This leads me back to thinking about the names given to my great grandmother, Margaret Jane McAlpin Monteroy Denyer. The daughter of Sarah Hartley and Ebenezer Denyer, family names weren't uncommon as middle names in the Denyer line. However, the names could equally have come from fellow soldiers Ebenezer fought with during the Civil War - or elsewhere. I wouldn't mind having McAlpin lineage, though. For this study, hundreds of genealogy blogs were evaluated based on their overall content, Technorati rating, and industry experience. Due to the ever-changing nature of the blogosphere and the authority basis of Technorati rankings, it is anticipated that this list will change frequently. Technorati's authority ratings are based on how many unique blogs link to your blog over a 6 month period (180 days). TransylvanianDutch, for example, currently has an 'authority rating' of 33, which means in the past 180 days 33 different blogs linked to ours. It's possible each of those 33 linked 1000 times. (Unlikely, but possible.) Technorati doesn't care. Technorati also doesn't measure hits, so it has no idea how popular you are among non-bloggers. I am honored to be able to say TransylvanianDutch is in the Top 25. #15 to be exact. I was curious how much of the ranking was Technorati, and how much was ProGenealogists' subjective judgment of 'overall content' and 'industry experience'. So I looked up the Technorati Authority Ranking for 25 of the top 26 blogs. (As ProGenealogist indicates, for some reason, Eastman's Online Newsletter isn't considered a blog. They say they found the data elsewhere, though I don't know where that is.) I should also note that this is as of April 6th. ProGenealogists' ranking was as of April 3rd. It's possible the Authority ratings for some of the sites below could have changed in 3 days. So, basically the list matches Technorati's ranking, except in two cases where a blog with a lower ranking was moved higher on the list. Ancestry.com's 24/7 Family History Circle was placed above GenDisasters and TransylvanianDutch. And AncestryInsider was placed above GenealogyBlog. I won't argue with either decision. Knowing what the numbers are should give those who are a little competitive an idea of how close they are to those above in the list, and who is breathing down their necks. 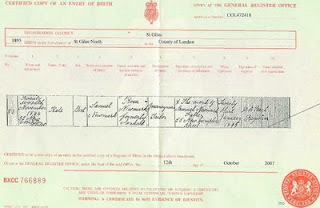 Note: As has been pointed out in the comments, while the order of the 25 closely matches Technorati's rankings, ProGenealogists did use some further subjectivity in selecting which blogs to include, as there are several genealogy blogs that are absent from the list with sufficient 'authority' to be included. Note: "Alternate Names" don't come from Ancestry, but are my own interpretations where I feel Ancestry indexers may have made an error. With one exception, I have not entered any of these as "Alternate Facts" at Ancestry, as I do not know the individuals, so I can't be certain, even if I am almost certain. In only one case am I positive, and that is the child Seymour Feinstein, as he was my paternal grandmother's first cousin. Seymour wasn't exactly an orphan (yet). 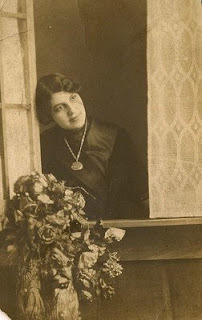 His mother, Dora (nee Servinsky) died in Aug 1920. About 1928, his father, Harry, remarried, and Harry lived until 1933. I don't know if the children stopped living with their father due to the second wife, or if the reasons were financial. In 1930 the elder children were living with cousins. I'm not sure why Seymour wasn't. It's possible one of the employees of the orphanage was a relative or friend of his parents. 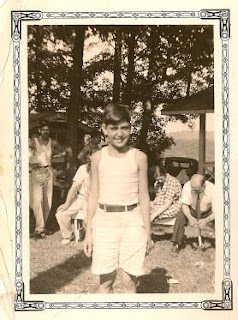 There is still one son I haven't found in the 1930 census, and that is Willard, who would have been 19. I post this as if I had difficulty finding Seymour, I figure maybe others having difficulty with their relatives may hit upon this page in a search and be able to use the Enumeration District and sheet information above. It also reinforces the occasional need to get creative in your searches for relatives. Weekly Genealogy Blogging Prompt #13: Have expertise in a specific area of study? Share your knowledge! I am not a professional genealogist. However, I am a professional wordsmith. My daily salary comes from writing. In particular I am a grant writer. I also write the occasional piece of poetry or short fiction, but very little of this has been published. Recently Chris Dunham of The Genealogue put together a list of "10 Genealogy Blogs Worth Reading" for blogs.com. His focus was on blogs from an amateur's perspective, and he included TransylvanianDutch. I was certainly honored to be included in the list. He mentioned the reason he included me was I added the word, "amanuensis" to his vocabulary. And that is an excellent reason to recommend my blog. I use words like amanuensis, veracity, and verisimilitude. Verisimilitude: The quality of appearing to be true or real. July of last year I posted a link to this readability test where you can put your blog through a series of tests to measure its readability. So, whether or not reading TransylvanianDutch will have any effect on your genealogical research skills is questionable. However, it may increase your vocabulary, without being too painful. You may also occasionally see quotes from 16th century French essayists, or 19th century French poets. When I quote someone else, I almost always cite my sources. 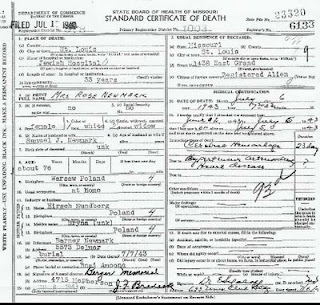 Though I don't always document all my family history research, I do provide contact information for any relatives who might be interested in where my information was obtained. St. Louis, Missouri (TransDutch News Service) -- The world was stunned yesterday when Charles Claremont of St. Louis, Missouri declared he had found a copy of the 1890 census in his parents’ attic. For years everyone thought the only copy had been destroyed by a combination of fire, water damage, and the government. Experts are a little hesitant to declare it an actual copy. As Suzy Sugarbaker, APG explains, “there is no known connection between Mr. Claremont’s ancestors and the Census department, so it is unclear why these boxes would be in his parents’ attic. There is some unusual information on the forms as well. Many names get repeated. There are names of several celebrities who weren’t alive in 1890, such as Shirley Temple, Archibald Alec Leach (better known as Cary Grant), and Britney Spears. However, if this is a forgery, it is a cleverly done forgery, as initial analysis shows that statistically it is a perfect match to the statistics that were generated from the original census." The statistics are available online, but there are 25 volumes, and the amount of work that one would have had to go through to create this by hand is surely insane. Though some have suggested a well-designed computer program could have simplified the task a bit. Update!! : I have received word from a source at Ancestry.com that they are aware of Mr. Claremont's 1890 census schedules and they "will be posting them very soon. In only two or three years from now. Or four, or five. Not long."